Moore's Flying M Ranch, located in Inola, is nestled in the beautiful rolling hills of the northeastern Oklahoma countryside. 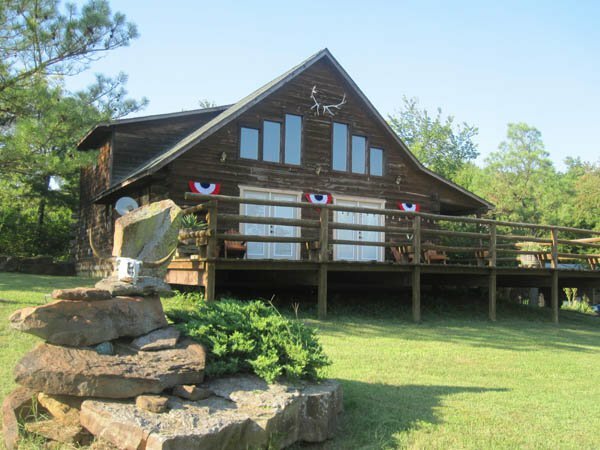 Located on 700 acres just 30 minutes east of Tulsa, the Flying M Ranch offers a two-story log cabin that sleeps 10, as well as hunting, fishing, camping, hiking trails, birding and hay rides. Two scenic picnic grounds are located on-site and fishing is available in 30 private ponds. 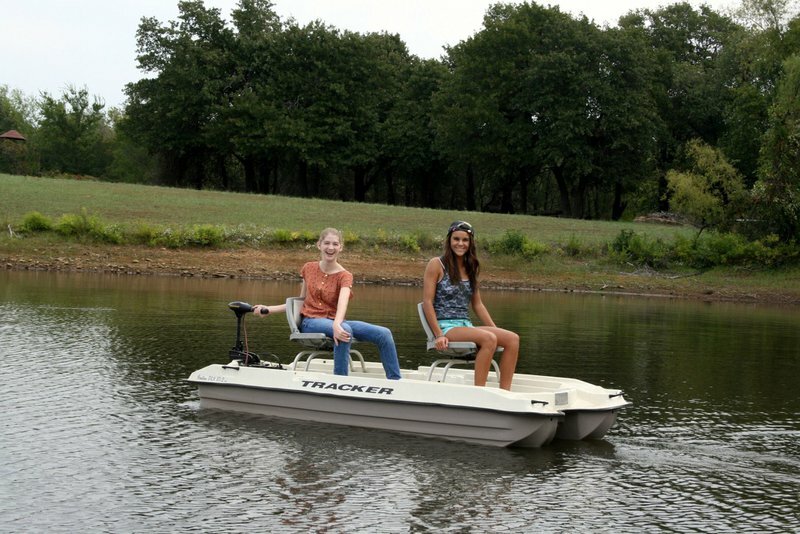 No fishing license is required. Book a stay at Moore's Flying M Ranch and enjoy the Old West charm of a hunting lodge combined with modern conveniences. Enjoy an Oklahoma sunrise or sunset on an over-sized deck in rustic rocking chairs or enjoy the indoors with a big screen television, full-size kitchen and a family-style dining table that seats up to 10 guests. The lodge's master suite features a full-size bath, flat-screen television with DVD player, a large closet and a queen-size bed outfitted with luxurious linens. Other amenities include central heat and air, game system with games, pool table, dartboard, outdoor grill, sleeper sofas and more. Moore's Flying M Ranch also offers some of the finest bow, muzzleloader and rifle deer hunting in the state. Guests will enjoy over 700 acres of prime hunting on rolling hills and beautiful countryside. Day hunts, group hunts and deer hunting packages are available. Hunting at the ranch is done over food plots, out of stands or ground blinds. Only a limited number of deer hunters are allowed each year. Rates posted are for up to six guests. Additional guests: $12/guest per night. While every effort has been made to ensure the accuracy of the pricing listed above, prices are subject to change without notice. From Tulsa, travel east on Hwy 412 16 miles to 4240 road, then travel north 5 miles to Flying M driveway. If traveling from Claremore, go east on Hwy 20 8 miles to 4230 road then south on 4230 road 5 miles to Flying M driveway.